The Police Bureau staked out the High Crash Corridor from 10 a.m. to 2 p.m. on Thursday, Oct. 4. 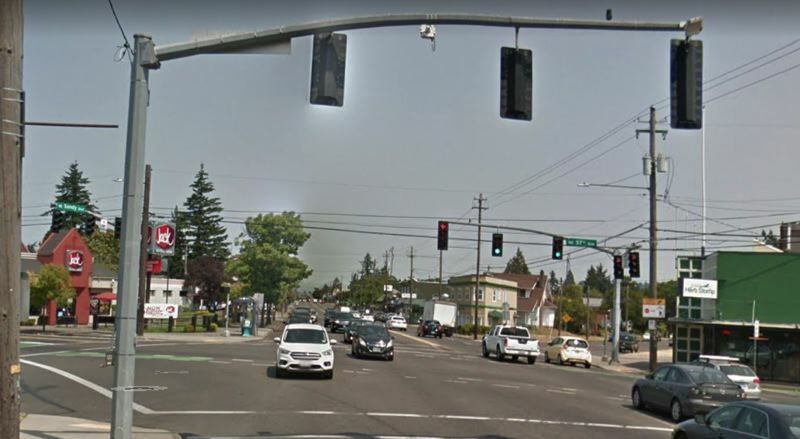 Portland police handed out 112 tickets and two written warnings during a traffic safety enforcement mission on Northeast Sandy Boulevard on Thursday, Oct. 4. Officers and the Bureau's photo-radar van staked out Sandy between 57th and 108th avenues from 10 a.m. to 2 p.m., according to a news release. They also apparently "offered" safety classes to six drivers. "Officers focused on dangerous behaviors and the officers were free to make traffic stops on drivers, pedestrians and bicycle riders as they saw appropriate," a police spokesperson wrote. This stretch of Sandy has been identified as a High Crash Corridor where a disproportionate number of serious collisions occur. A pedestrian was killed several years ago on this portion of Sandy, which includes bike lanes, bus stops and crosswalks. Police say they will return to the area for future enforcement missions again as part of Vision Zero, a citywide effort to eliminate all traffic deaths.